Goldeneye Media, creator of the marketing video for Australia’s most expensive home, Fairwater, is expanding into the United States. 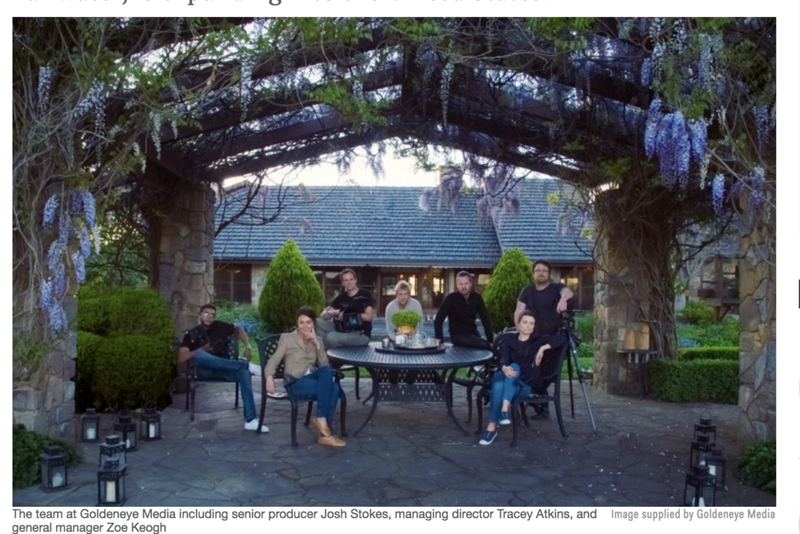 Goldeneye Media first entered the US market four years ago when it was asked to tell the story of a $100 million Napa Valley estate, and the company’s production team has shuttled back and forth since to film some of America’s most high end properties. Managing Director Tracey Atkins said the decision to launch officially in the US would allow Goldeneye to become more agile in terms of timelines and budgets, though stressed the company’s uniquely international approach would remain firmly in place with all projects continuing to be overseen from Australia. Ms Atkins told WILLIAMS MEDIA Goldeneye first opened in 2010, and had a temporary base out of Dallas in 2014 when business started to pick up in America. “Our LA office opened its doors four weeks ago, and we have already been engaged on several shoots including a mansion in Beverly Hills,” said Ms Atkins. “Due to strong relationships in the US our team of four based there are already fairly active.